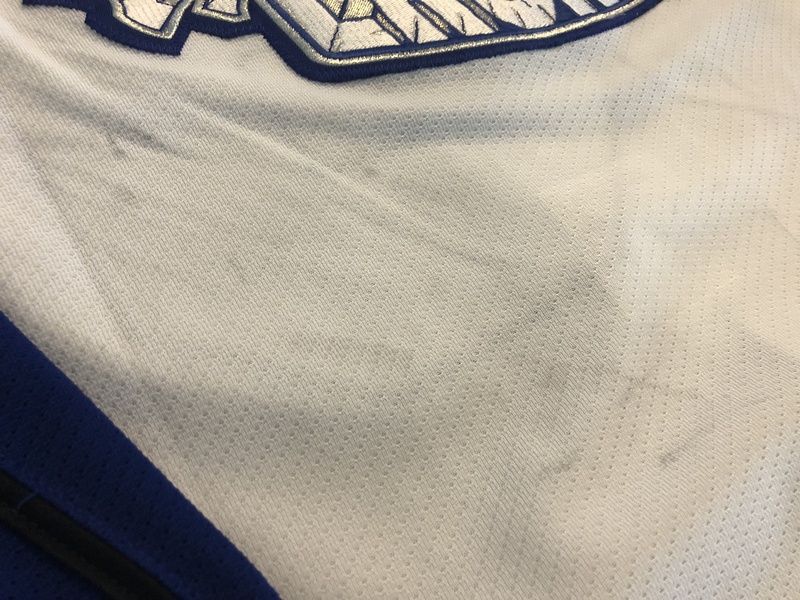 Jersey has board burns all over it including both arms and shoulders. 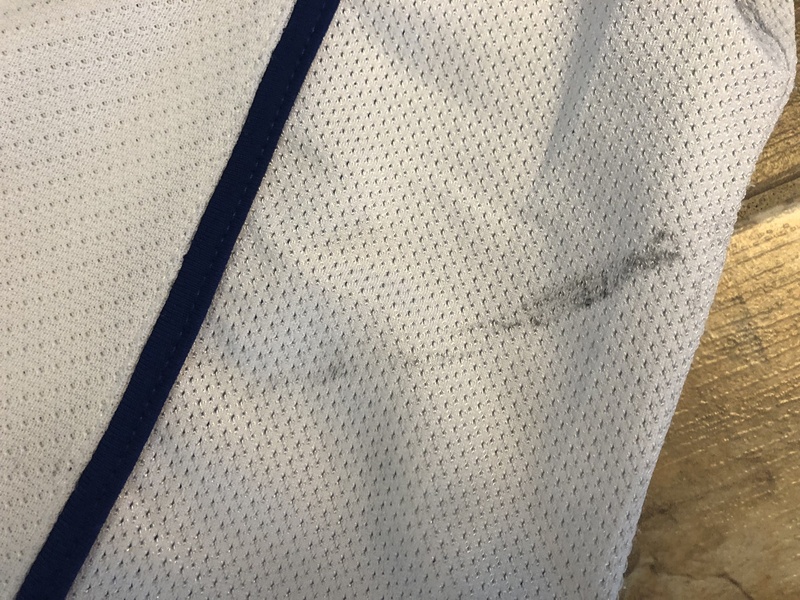 There are holes on both arms, some repaired from inside with tape. 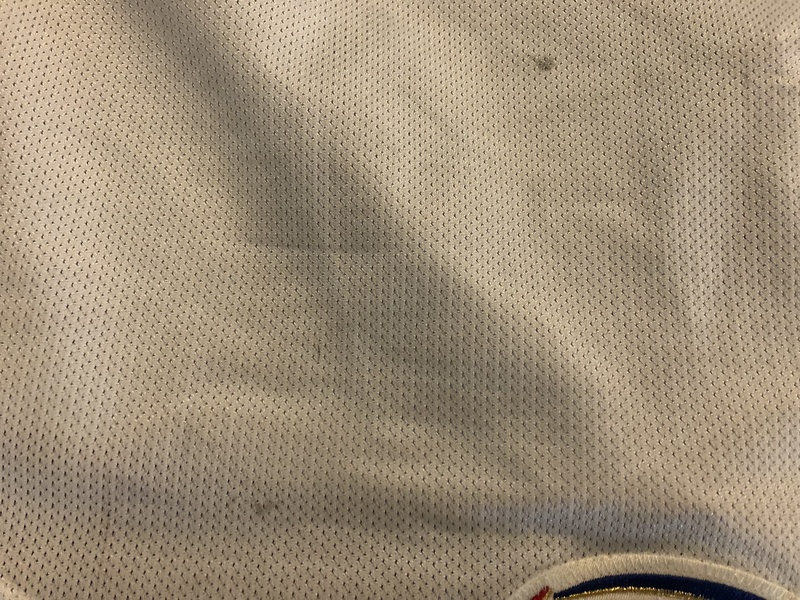 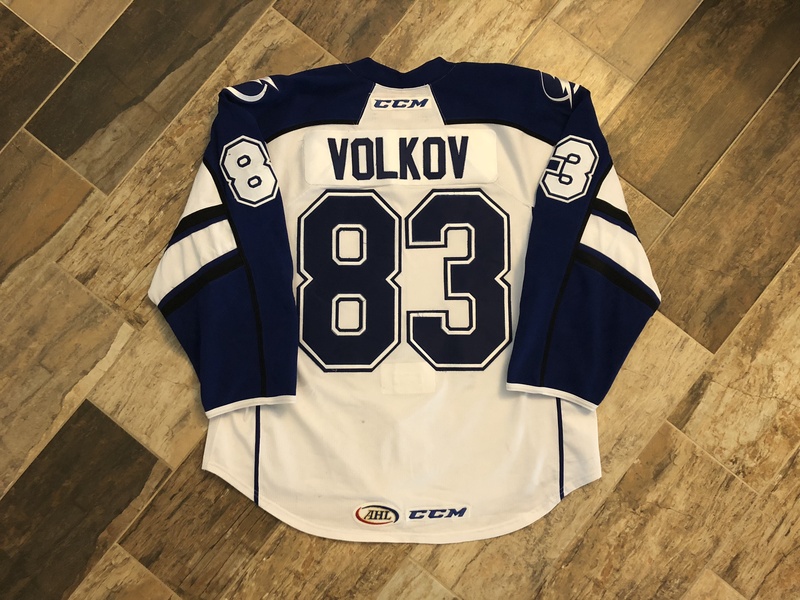 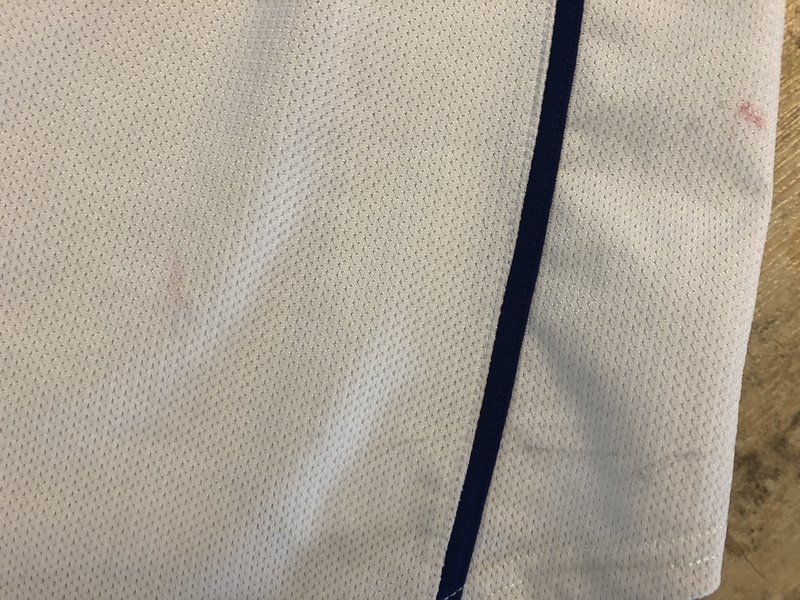 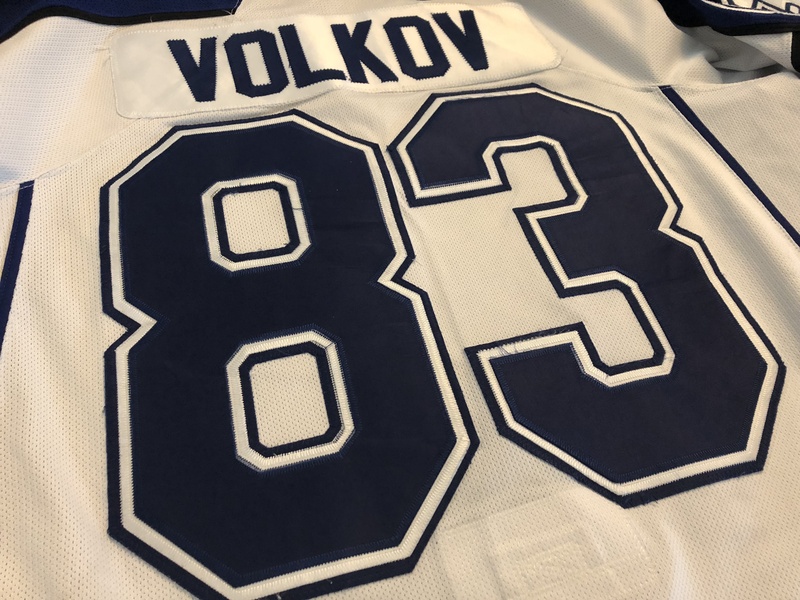 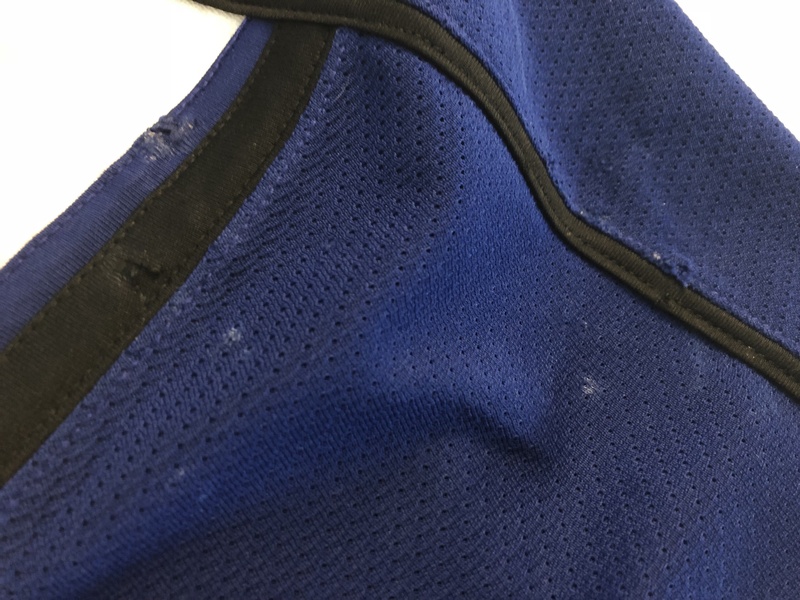 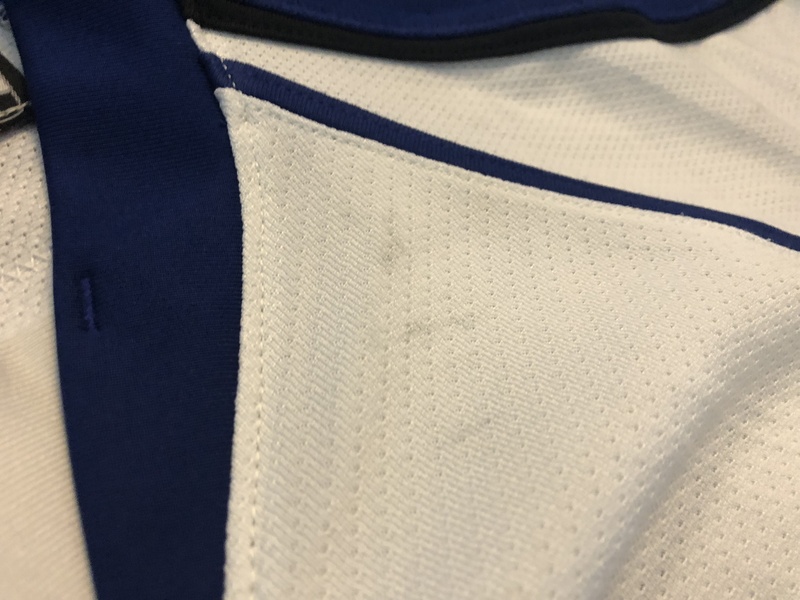 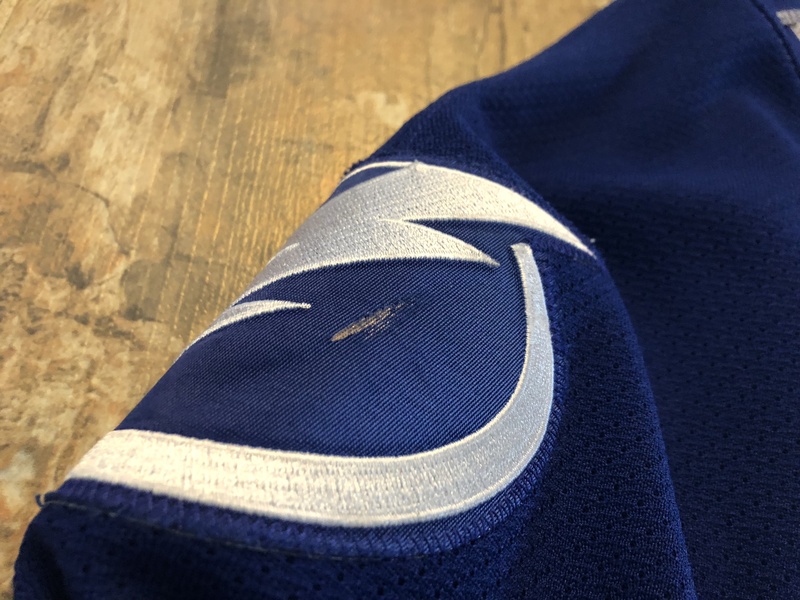 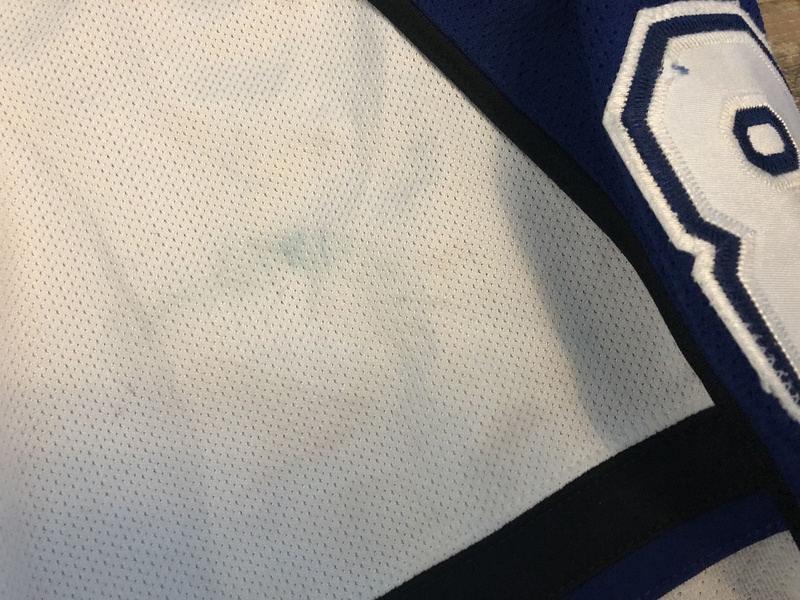 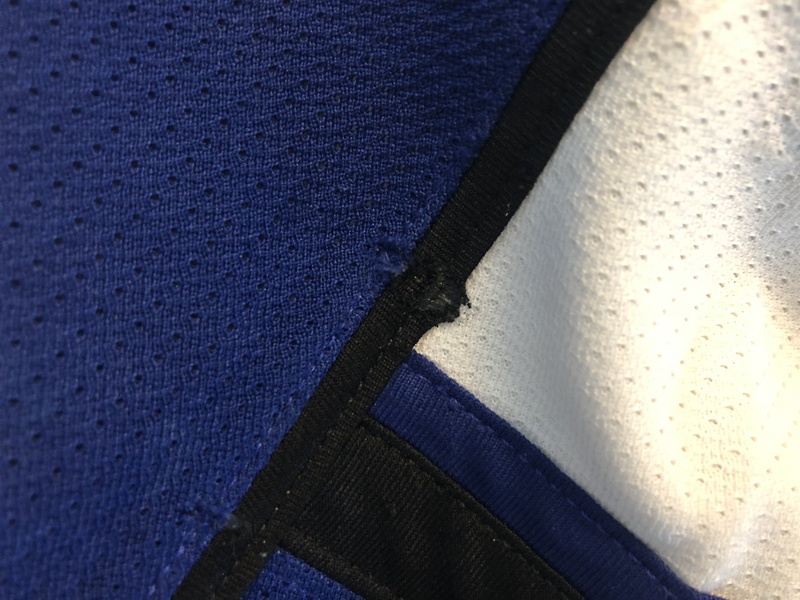 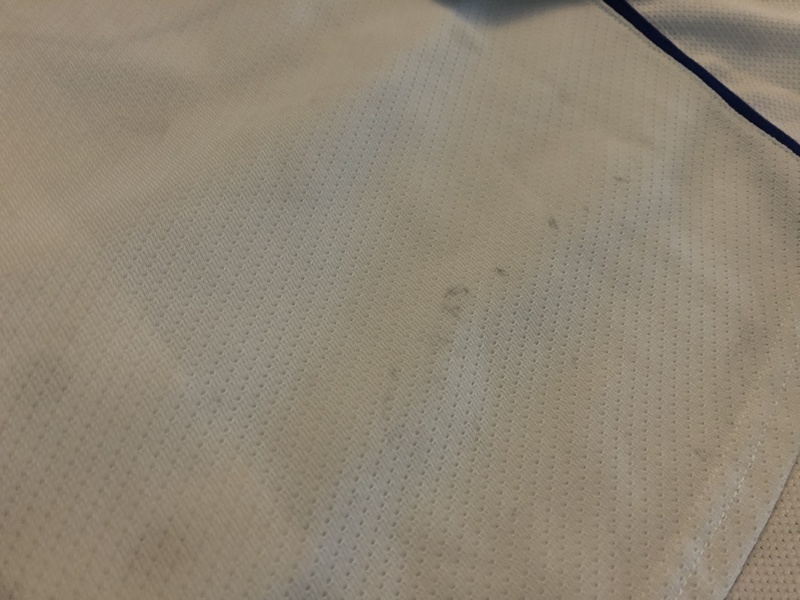 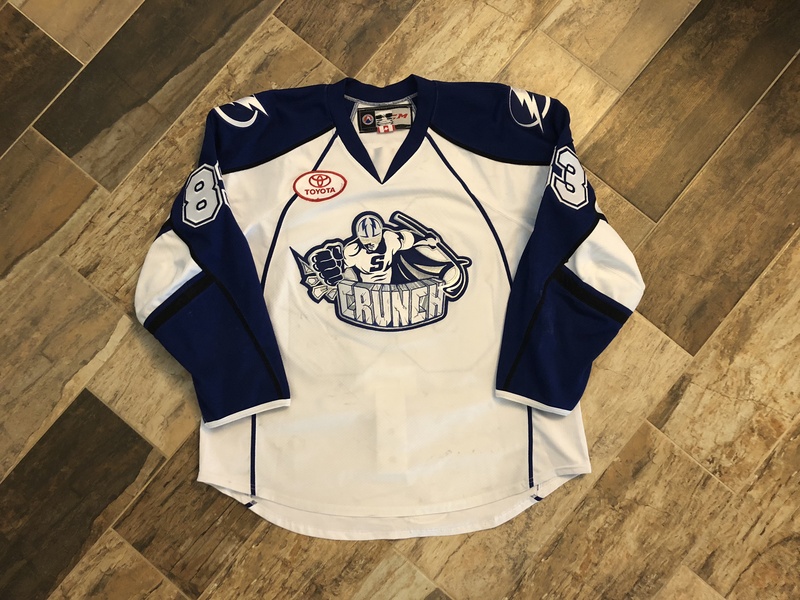 Black, blue, and red marks scattered throughout the entire jersey.